Peptic Ulcers are formed in the internal lining of the stomach, the duodenum or also in the starting portion of the small intestine. These ulcers are painful and occur when the protective lining of the mucus inside the stomach is reduced due to a negative effect of the digestive juices. It is true that eating spicy foods can increase the pain of ulcers but they are not responsible for the growth of peptic ulcers. 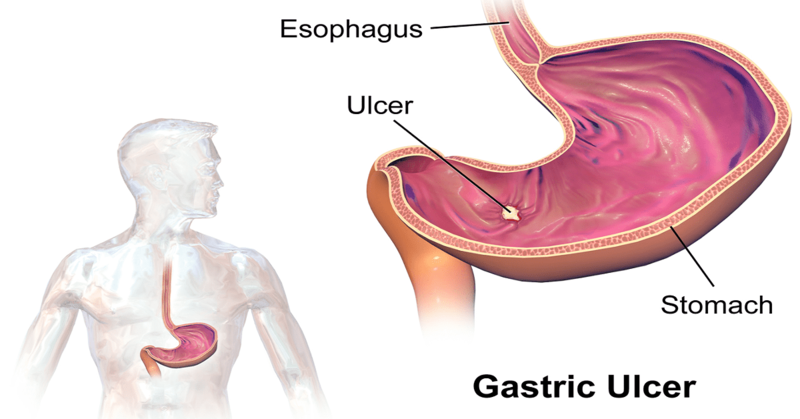 How is Peptic Ulcer Diagnosed? The gastroenterologist who may ask you to undergo several tests to check the presence of H.pylori infection diagnoses a peptic ulcer. These tests include stool, blood or simple breath test. Other tests include X-ray or an upper-GI series in which you will be asked to ingest contrast liquid such as barium. In severe cases, the doctor may also recommend endoscopy for accurate diagnosis. In case you are diagnosed with the bacterial infection, you will be prescribed antibiotics along with medications to reduce the acid level in your abdomen. More often, antibiotics and the acid-blocking medicines are enough to cure the symptoms of peptic ulcers, which are carried on for two weeks. For complete relief from peptic ulcer, the patient must take the complete dose of medication. The patient must avoid the use of cigarettes, alcoholic beverages during the treatment and even after being cured to eliminate its recurrence. Until now, no definite source of this infection has been found and hence there cannot be any certain preventive recommendation. Even then, you can protect yourself from the pain of peptic ulcers by washing hands thoroughly, drinking clean and safe water and eating clean and hygienic food. Liver function test help focus the strength of your liver by measuring levels of proteins, chemicals, or bilirubin in your blood.